Next up in the macro hedge fund tracking series we have Tudor Investment Corp, the brainchild of Paul Tudor Jones. Taken from Wikipedia, the bio of PTJ is as follows: "In 1980 he founded Tudor Investment Corporation which is today a leading asset management firm headquartered in Greenwich, Connecticut. The Tudor Group, which consists of Tudor Investment Corporation and its affiliates, is involved in active trading, investing and research in the global equity, venture capital, debt, currency and commodity markets. 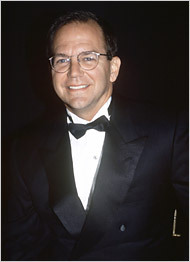 One of Jones' earliest and major successes was predicting Black Monday in 1987, tripling his money during the event due to large short positions. Jones uses a global macro strategy when trading in some of his funds. This strategy can be seen in the 1987 PBS film "TRADER: The Documentary". The film shows Mr. Jones as a young man predicting the 1987 crash. Jones' firm currently manages$17.7 billion (as of June 1, 2007). Their investment capabilities are broad and diverse, including global macro trading, fundamental equity investing in the U.S. and Europe, emerging markets, venture capital, commodities, event driven strategies and technical trading systems." So, as you can see, PTJ is quite an accomplished gentleman, earning him the title of THE macro trader. So, now that we've got a background on Jones and Tudor Investment Corp, let's take a quick look at his portfolio highlights. Keep in mind that this is merely a brief summary of Tudor's top holdings. Due to the time sensitive nature of the 13F material, I wanted to get this information posted before the next set of filings come out in November. At the time of the filing, Tudor Investment Corp's total equity portfolio totalled around $5.7 billion. So, I just want to re-emphasize that since they are a macro fund, they obviously have additional positions in the commodity, currency, futures, or other markets. But, at the same time, they still have a sizable chunk of money in the equity markets. Paul Tudor Jones was out adding brand new positions to his portfolio in a big way. He established new positions in: The Spiders (SPY), Entergy (ETR), Occidental (OXY), and Wellpoint (WLP). Not only did he start new positions in these names, but he brought them all up to top 10 holdings within one quarter. I want to highlight his stakes in Entergy and Occidental, as they are both energy related. I'm slowly but surely starting to see ETR pop up in numerous hedge fund portfolios, so it's definitely worth keeping any eye on. These funds could be establishing this as one of their ways to play the nuclear energy space, as the alternative energy train picks up steam. We'll see if he adds to this position in the next round of 13F filings. At the time of filing, his stake in ETR was worth a bit over $201 million. Secondly, Occidental (OXY) is another 'hedge fund favorite' energy play. This integrated energy producer has definitely been firing on all cylinders fundamentally. But, with the recent volatility in the commodities markets, one would have to assume that PTJ has felt some pain with this position. He had this position as of June 30th (the time of the filing), and around then OXY was trading around $87.50. In the coming months, OXY would drop to as low as $65, before rebounding to current levels of around $80. So, we'll wait and see next time if he bailed ship or if he stuck with this name. At the time of filing, his position in OXY was worth $181 million. If I were to bet, I would say that he did not add to this position, because one of his rules is never to average down on a loser. Interesting to see that Paul Tudor Jones decreased his position in Qualcomm (QCOM) by 30%. QCOM is by far one of the most common names in hedge fund portfolios these days. So, whether he was taking profits or saw something he fundamentally disliked remains to be seen. We'll have to monitor this next quarter to see if he continues to sell down his position. It's always interesting to see how various funds handle a position they have in common with numerous other well-respected funds. I also want to point out his decision to add to his Verisign (VRSN) position. He upped his stake by nearly 50%, bringing it up to his 18th largest position. I haven't seen this name pop up in too many funds' portfolios, so I was intrigued to see him beef up his stake pretty substantially. So, while last quarter's glimpse inside Tudor's portfolio is interesting, it will be much more interesting to see what they've done with these holdings come November. We already knew hedge funds (and macro funds in particular) had a rough July. And, it's easy to see why, with the heavy commodity exposure many of them had. But, as of a few weeks ago, Tudor was still up on the year, in a year when many funds are seeing red from all the whipsawing. Tudor Investment Corp's full 13F filing listing every position can be found at the SEC. View our Hedge Fund Tracker research by clicking here or are 13F analysis work by clicking here.